When we left the Sourcing Maniacs, they had just finished learning about BIQ and the true meaning of spend analysis. We join them wandering the streets of Southborough, MA. Wakko So where are we going next, Yakko? Yakko I don’t know, but I think we should move onto the C’s. Dot Any cool C companies nearby? Yakko None that I know of. I think they’re all in Pennsylvania, Illinois, or California. Dot Well, we’re from California. Wakko And I always thought Illinois was a railroad! Yakko So Pennsylvania it is! Wakko Pennsylvania is a railroad, too! Dot So who’s in Pennsylvania? Yakko If I recall correctly, CombineNet and Co-exprise. Wakko CombineNet? I don’t think we’re smart enough to work for them. I still have problems with double-digit multiplication, I couldn’t do com-bin-a-tore-e-ul op-ti-my-za-shun! Dot I guess it’s Co-exprise. What do they do? Wakko Sea Level Measurement? In Pennsylvania? Cool! Do they have any yellow submarines? Yakko I think it stands for Sourcing Lifecycle Management. Wakko Oh. Well, maybe they have some baloney sandwiches. I’m hungry! Dot You just ate two servings of Boston Baked Beans, drank enough tea for a party, and finished it off with an entire Boston Cream Pie! Wakko I know … but I’m always hungry for baloney sandwiches. Dot So which way to Pennsylvania? Yakko Yakko licks his finger, sticks it in the air, and pauses. As per their nature, they start to sing. The song goes on for a few hundred more versus which somehow manage to include references to roman aqueducts, visitors from Beetlegeuse Seven, South-going Zax, and something called PffT, which I always thought was the sound my cat made when she was cross. Including it herein would be almost as bad as subjecting you to Vogon poetry, so we’ll skip ahead to when the Sourcing Maniacs land in Wexford, PA.
Wakko Brooktree Road! I think we’re almost there! Dot I see lots of office buildings! Yakko This must be the place! Dot Do you think they’ll talk to us? Dot It looks like this place is access-controlled. Yakko Well, rumor has it that a number of big companies that have DoD contracts are considering using Co-exprise’s solution. Companies that do military projects have to insure their suppliers have a basic level of data security in place, at least SAS 70! Wakko Do you think anyone from the military could be in there now? Yakko Relax, Wakko. 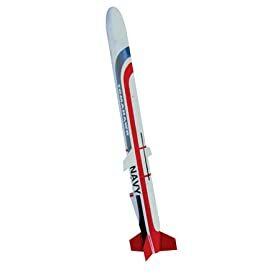 I’m sure the military has forgotton all about that little incident where you mistakenly procured a real Tomahawk missile instead of the model rocket you were coveting. Wakko But I almost blew up the valley! Yakko But you can’t aim. It harmlessly exploded in the ocean. No harm done. Yakko Look, someone’s coming out. Maybe we can talk to them out here. Would that be okay with you? Yakko Hi, I’m Yakko. Do you work for Co-exprise? Man-in-Black Yes, I do. Yakko … Yakko … why do I know that name? Man-in-Black Dot. Hmmm. Wait a minute, you’re the Sourcing Maniacs! Yakko & Dot That’s us! Man-in-Black I heard you were let go from Ariba a while back. Sorry to hear. Yakko & Dot Well, can you at least tell us about SLM and what you do? Man-in-Black Man-in-Black pauses and thinks for a bit. Well, we have been slowly spreading the SLM message, which we believe is the first major revolution to hit the direct sourcing space since one of our founders co-invented the reverse auction at GE, and we do want to get the Co-exprise message out when the time is right, so I’ll make you a deal. You promise to keep things under your hats for a couple of months, and I’ll tell you about the future of direct sourcing. Deal? Wakko Wakko, who has somehow developed a fear of all men dressed in black, looks out from behind Yakko. Man-in-Black Is it a deal? Dot Where are we going? Man-in-Black The coffee shop on the corner. The most discreet place is a public place. Man-in-Black So, do you know what Sourcing Lifecycle Management is all about? Dot Managing the e-RFX and e-Auction process? Man-in-Black Well, that’s what many people think, but it’s much more than that. Many providers, particularly those that only service the indirect sourcing space, believe that sourcing starts with an e-RFX or auction for a commodity, results in a contract, and ends with order delivery. But things aren’t so simple in the direct space. In the direct space, the lifecycle starts way back at new product design as you are sourcing not a pre-defined commodity part, but a custom-made part. You have to insure that the design is appropriate with respect to the capabilities of your potential supply base; you have to insure that the raw materials are available, in the requisite quantities, at the appropriate times, in the manufacturing regions; and you have to make sure that the projected cost does not exceed the maximum cost that would make the end product viable for sale in your target market. You also need to collaborate with your supply base in the design, as needed, to optimize the design for production. Once you have the design, you need to go through a negotiation and collaboration intensive sourcing process to select one, maybe two, suppliers who will manufacture the part for you. This involves the sharing of confidential information, which needs to be done in a secure manner, as well as collaboration on forecasts and target delivery dates. Once you have an award, you have to manage the procurement, which usually has to coincide with the procurement of other custom parts, which have to hit a single location at the same time for integration into the final end-product, which then has to be packaged and shipped to the end customer. This involves coordination between manufacturers, 3PLs, assemblers, and end retailers. Plus, you still have to insure prices are contract prices, charges are valid charges, and that the i’s are dotted and the t’s crossed, as you would in indirect procurement. As you can see, whereas indirect sourcing can often be accomplished with just e-RFX, e-Auction, and Contract Management — with Spend Analysis and Decision Optimization for higher-value projects — direct sourcing requires extensive integrated project management capabilities, product lifecycle management, collaboration capabilities, Bill-of-Material management, and the ability to easily integrate with third party platforms. 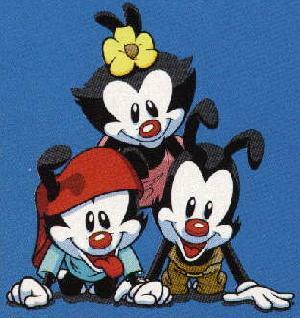 Yakko, Wakko, & Dot We … we … never knew. Dot We always thought it was just e-RFX, e-Auction, and good data management. Yakko & Dot So how do you do all that? Man-in-Black With a great code-base, of course! Although I have to be really careful with what I say now, especially until our next release hits beta later this year and hits full release late this year or early next year, I can tell you a few things that are already more-or-less public knowledge. First of all, our platform is entirely new, built from the ground up to handle the direct sourcing process, which our senior management and developers are intimately familiar with. This allows us to do things that retrofitted indirect sourcing platforms can’t do. Second, we have our own universal data model that underlies our application and it can integrate with data in over 1500 different formats. Third, we have PLM built in at the core, and this allows us to enable direct sourcing professionals to track a project from beginning to end and always access the most recent data, regardless of which module they are in. Fourth, we have fine-grained security that allows us to assign access permissions down at the data element level that indicates who can see the data, where (by IP), when, and how they can access it (read-only, view-only, etc.). Fifth, we’ve integrated a compliance tracking module that allows companies to track regulatory requirements such as REACH, ITAR, etc. from product inception to product end-of-life, and insure that such requirements are met at every stage of the sourcing process. Sixth, we’ve re-invented “spend analysis” for direct sourcing. Although I can’t say anything yet … we’re still finalizing the initial product offering and working on getting our first beta projects under way, I can say that our founders and developers have been involved with spend analysis since the days of FreeMarkets, and know why traditional “spend analysis”, developed in the indirect world, just doesn’t cut it in the direct world. Dot Can we see it? Yakko & Dot Can you tell us more about it? Man-in-Black Not yet. But you’ll be able to read all about it soon enough. Man-in-Black When the story hits the blogs. We’ll show the right people at the right time. Right now we’re totally focussed on getting the next release of the product out and pleasing our current customers, who include some of the bigger names in manufacturing, and getting beta projects underway at some of the biggest names in manufacturing. Yakko & Dot Until then? Man-in-Black You go on your merry way. Have a nice day. The man in black gets up and walks away, leaving the Sourcing Maniacs speechless, again, as their view of the Sourcing World broadens with each vendor they talk to. This entry was posted in Manufacturing, Marketplaces, Sourcing-Maniacs, Technology on October 23, 2008 by thedoctor.